The “best” (or “most accessible”) of Guys with Wicks, sort of — but only drawing from SUBLIMINAL BILE through to the CASTRATED EP. 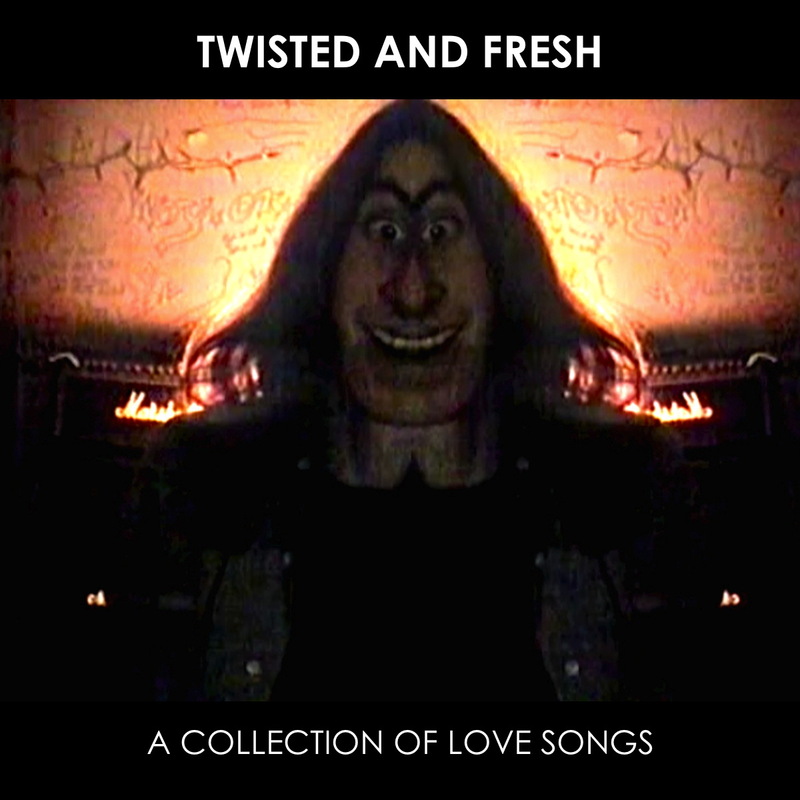 I subtitled it A Collection of Love Songs. There are two “cuts” of this CD — mine and Gord’s. The idea here was for each band member to put together a different “best of” collection, offering the cream of our latter day work as a three-piece. I was fascinated by the idea of three separate views of the same source material. I wanted to see what contrasts would emerge between what each of us thought of as our best work and how we chose to sequence it. Gord pieced his take together one afternoon while high on mushrooms, and I provided some demented liner notes…something about standing in the middle of the street naked and screaming, “Dump truck!” I compiled my own cut a few days later while waiting for Jesse to come over so we could work on SESSIONS. Tyson never got around to putting together his cut. There are some subtle and not-so-subtle differences between my cut and Gord’s. Mine sticks to mostly shorter tracks, leaning heavily on STELLAR and the final GWD sessions. Gord’s makes room for things I passed over like We’re out of Tuna and Blood at the Back. My cut comes right out of the gate with Mean It, while Gord lets his begin on a silly note with An Interlude, which is now called An Intro. When I put my cut together I was thinking of record companies. It’s anyone’s guess what they thought if they bothered to listen to the CDs when they got them. That I would think anyone would ever hear any commercial potential in this stuff is beyond insane. I did get one response out of about eighty labels I sent CDs to, and it was surprisingly positive and thoughtful. But by then the band no longer existed. This is still a mystery, but I imagine it would have been pretty similar to mine.